Tired of mortgage and car payments, thirty-somethings Andrew and Gwynn sold everything they owned and escaped their humdrum nine-to-five existence for life in paradise-a tiny island accessible only by boat or air in one of the remotest spots on Earth: the Okavango Delta in Botswana. Woefully inexperienced, they took control of a luxury game lodge where the rich and famous went to sip gin and tonics with lions and elephants. Trouble soon followed. The couple's lives were threatened daily by snakes, elephants, baboons, and a hyena with a plastic fetish. Not to mention the endless-and often insurmountable-challenge of keeping their five-star guests fed in a world where the closest supermarket was an air flight away. Amongst others, their guests included a famous Hollywood director, some French aristocrats, a Mafia lawyer, world famous singers, and the England cricket captain. 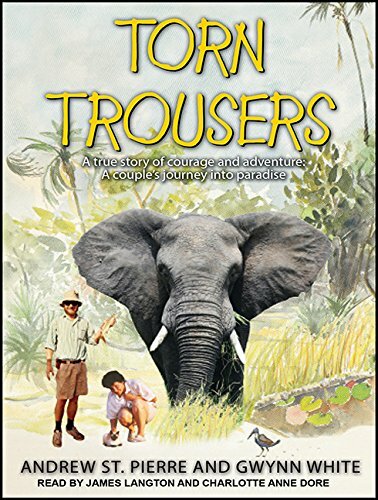 Lighthearted and humorous, Torn Trousers will enthrall you with its unique look at life in wild Africa.